The Lahore High Court on Thursday overturned an election tribunal’s verdict about lifetime disqualification of former Prime Minister Shahid Khaqan Abbasi. A two-member LHC bench allowed the PML-N leader to contest election of the National Assembly from two constituencies NA-57 (Murree) and NA-53 (Islamabad). The appellate tribunal had disqualified Abbasi for not declaring assets in nomination papers. The LHC also set aside the tribunal’s verdict barring Pakistan Tehreek-e-Insaf spokesperson Fawad Chaudhry for life from contesting elections from NA-67 (Jhelum). His candidacy was challenged by a candidate from former chief justice Iftikhar Chaudhry’s Justice and Democratic Party. 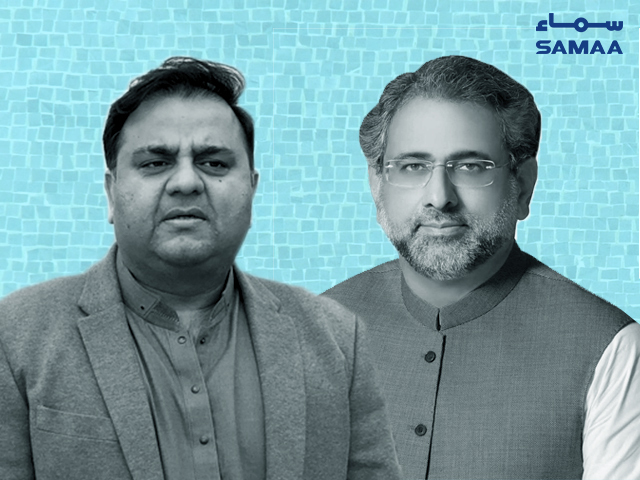 The rival candidate, Fakhar Abbasi Kazmi, had claimed that Fawad Chaudhry has not paid the tax on his agriculture land. The objections have no legal status, said the court ruling, allowing Chaudhry to run for the seat.